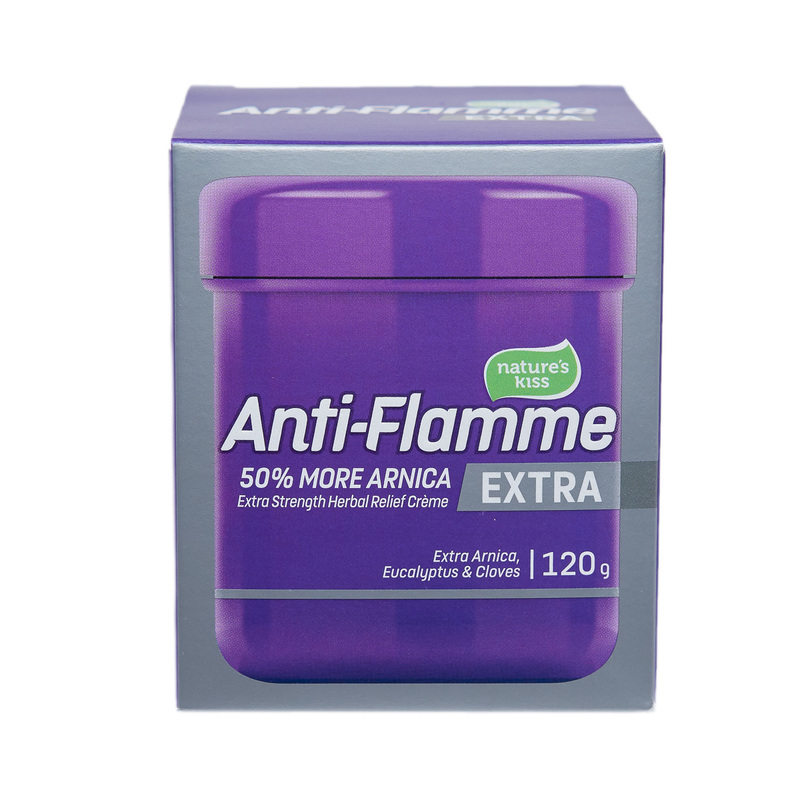 Nature’s Kiss Anti-Flamme Extra contains a carefully selected range of natural oils, chosen for their healing properties. Arnica oil, Calendula oil, Hypericum oil, Peppermint oil, Eucalyptus oil and Clove oil have been traditionally used in herbal practice to help minor joint and muscle strains. 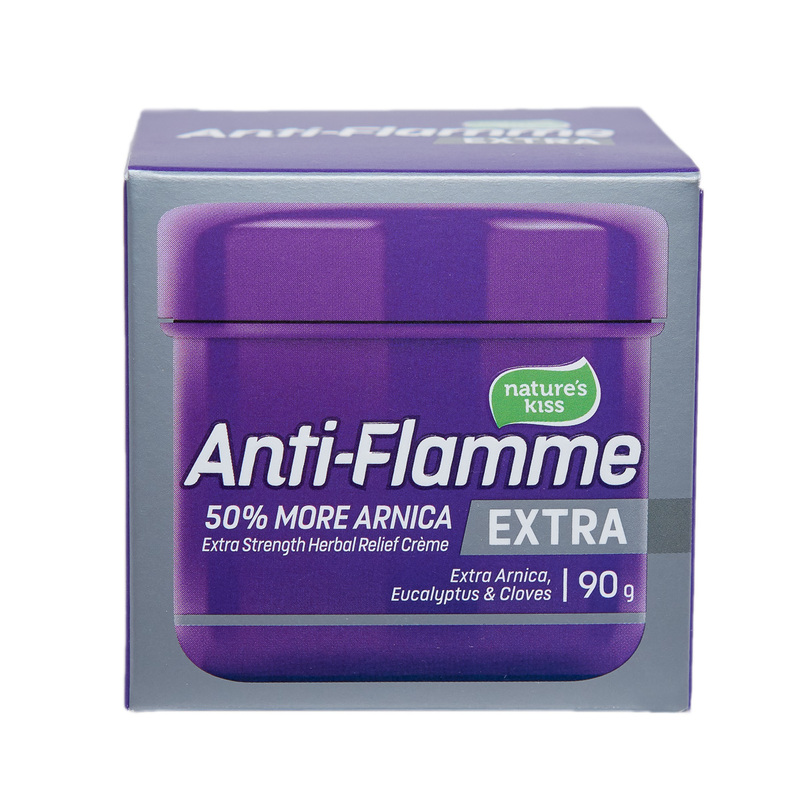 Anti-Flamme Extra contains 50% more Arnica oil than Anti-Flamme Everyday for greater effectiveness. Apply liberally to the affected area and massage into the skin. Use as needed. For external use only. Avoid contact with eyes. Do not use on open wounds or infected areas of the skin. Not recommended for use during pregnancy. Keep out of reach of children.